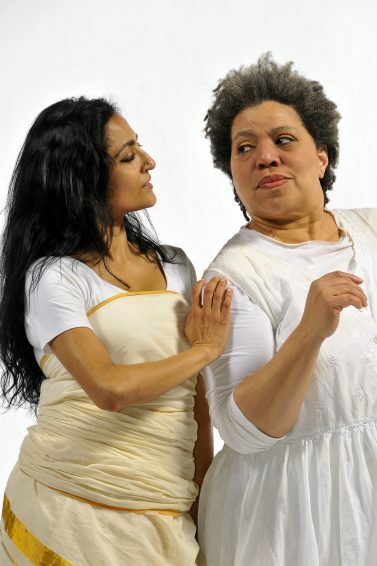 Laurie Carlos was introduced to Ananya Dance Theatre through workshops she conducted in 2001, and was credited as co-creator, collaborator, and performer for the productions of “Kshoy!/Decay!” (2010), “Tushaanal: Fires of Dry Grass” (2011), and “Moreechika: Season of Mirage” (2012). A native of New York City’s Lower East Side, Carlos became a seminal American theater artist and original player in NYC’s avant-garde performance scene, and developed new characters and aesthetics for the stage for more than 40 years. A gifted writer, her oft-anthologized pieces, including “White Chocolate,” “The Cooking Show,” and “Organdy Falsetto,” represented daring and successful forays into abstract aesthetics. 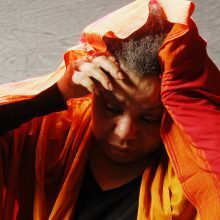 Her work as a collaborating poet, dramaturg, and performer with the Urban Bush Women is the stuff of performance legend. 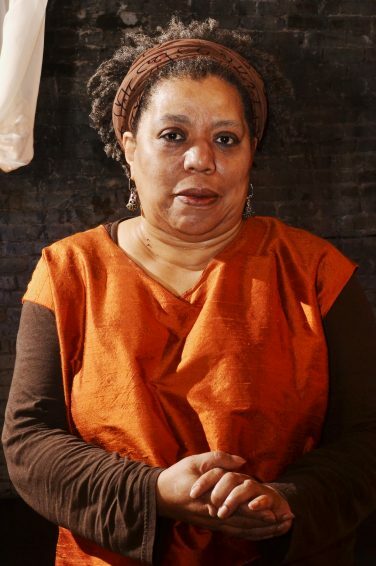 She was a unique director, who helmed the premieres of new work by writers Sharon Bridgforth, Carl Hancock Rux, Lourdes Perez, Sue Lori Parks, Zell Miller III, and Daniel Alexander Jones. With Ananya Chatterjea and Marilyn Amaral, Carlos created a dance poem, “Marion’s Terrible Time of Joy,” in 2003. Carlos worked as co-artistic director with Marlies Yearby at Movin’ Spirits Dance Company, as an Artistic Fellow at Penumbra Theatre, curated the “Non-English Speaking Spoken Here” series at Pillsbury House Theatre, and served as project manager for The Naked Stages series at Intermedia Arts. Carlos received financial grants and awards for her work from the New York Foundation for the Arts, National Endowment for the Arts, and Theatre Communications Group. The Bush Foundation named her a Bush Fellow in 2004. She served on the Jerome Foundation board of directors for nine years.